Spread the cost from only £180.94 a month with Interest Free Credit. The Outline Sofa family is an architectural, refined set of sofas that comes in chair, two and three-seater versions. A visually light and elegant sofa, the Outline has deep seating for high comfort. 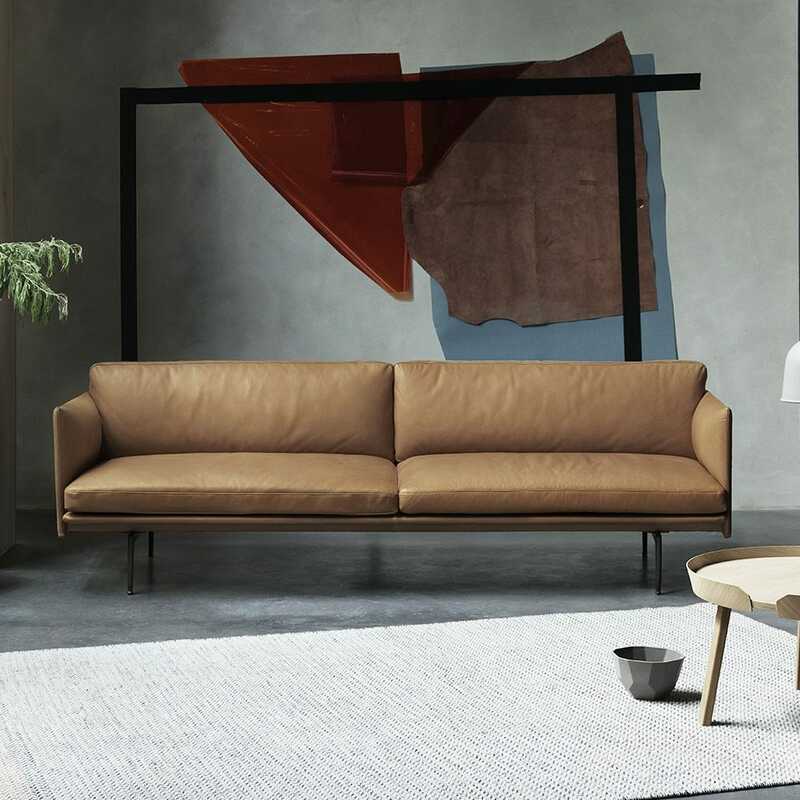 Available in textile from Kvadrat and in silk leather from Camo Leathers, the Outline Sofa is a sturdy of combining Scandinavian design and craftsmanship with superior comfort. Designed by Anderssen & Voll, two of the most prominent and successful Norwegian designers, having both formerly been named Norwegian and Scandinavian designers of the year in Norway and having received international awards. A beautifully sleek silhouette is a study of combining Scandinavian design and craftsmanship with superior comfort. Available in fabric and leathers, the perfect sofa for the contemporary living space. Visually light and elegant arms add to the sleek silhouette of the sofa.